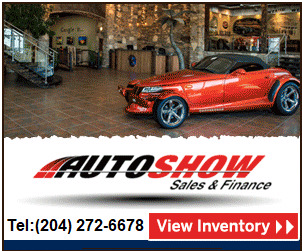 Two minutes west of Kenaston on McGillivray Blvd, Auto Show Sales & Finance is a locally-owned shopping destination for all makes and models of pre-owned vehicles: Cars, Vans, SUVs, and Trucks including 3/4 tons, 1 tons and Diesels. Our salaried team of Customer Service Specialists and haggle-free pricing offer a relaxed environment for purchasers and browsers alike. Come enjoy a bag of popcorn, shoot a game of pool, test your skills on our vintage arcade, and take some time to unwind. See how we fulfill our commitment to delivering world-class service for everyone, every time. Steven from the Auto Show helped me pick my truck. Very friendly customer service and didn't felt any pressure for the sale. 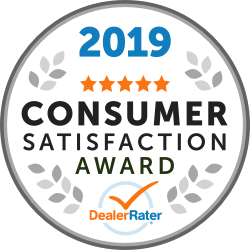 It was my first purchase from any dealership and it was great customer service experience. I will recommend all my friends and family members to buy from Auto Show. Thank you Steven for helping me. I was pressed to buy a vehicle after an unfortunate accident with my truck. I’d test driven 6 vehicles, 3 of them from Auto Show. From the time we’d set foot into their operation, it was nothing but comfortable & stress free. ZERO pressure. Joe, Steven & Emily were superb. We agreed on a vehicle with some conditions. All were met. If anyone is looking for a nice vehicle accompanied with honest service and a stress free experience, this is the place. When it’s time for another vehicle, I know who I’m calling. Great experience. Very friendly place. Emily was very helpful . I recommend 100% . We came with kids and they loved it . Great car . Great trucks . Awesome place to come and not feel out of place while buying a vehicle. Also nicest showroom in Manitoba .